EBA/Ouendan: Using dance to make the world a better place since 2005. If something big happens, we post it here. Read before posting, if you don't want to be banned. Talk of EBA goes here. Talk of Ouendan 1 goes here. Ouendan 2 talk goes here. Ask for tips. Give tips. Tips for all three games. Quite self explanatory. Talk about the games in general. Make Fanfiction about Ouendan and EBA here! Create an RP of your favorite characters! If you wish to post, PLEASE READ THE RULES FIRST! Go here to set up an RP! Read rules of above section before posting here! New tapper? Say hello! WARNING: Make one thread only, as there is no need to introduce yourself twice. 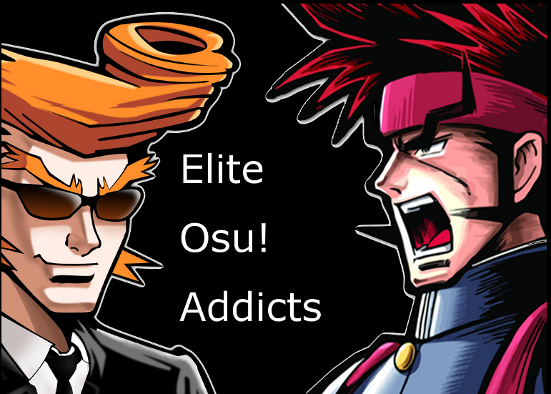 Official offtopic forum of EOA. Go on, be stupid, and do whatever you like, as long as it's not against the rules.